Keith Holmes Reserve and Beach Dolphin Quay Mandurah is a great place to enjoy a swim and a play while you are in Mandurah. 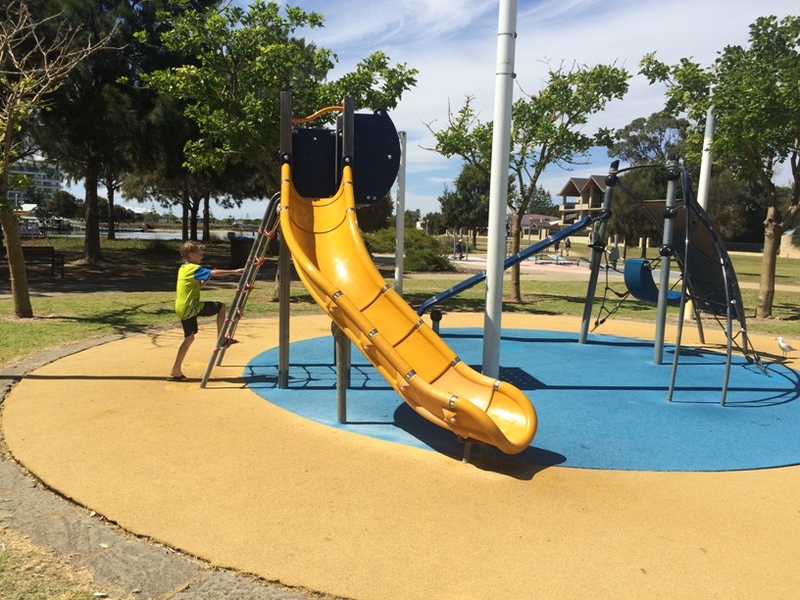 Early in 2017 the Mandurah pontoon with slide was moved to the Keith Holmes beach so there is even more reason to visit the Keith Holmes Reserve when you are next in Mandurah. 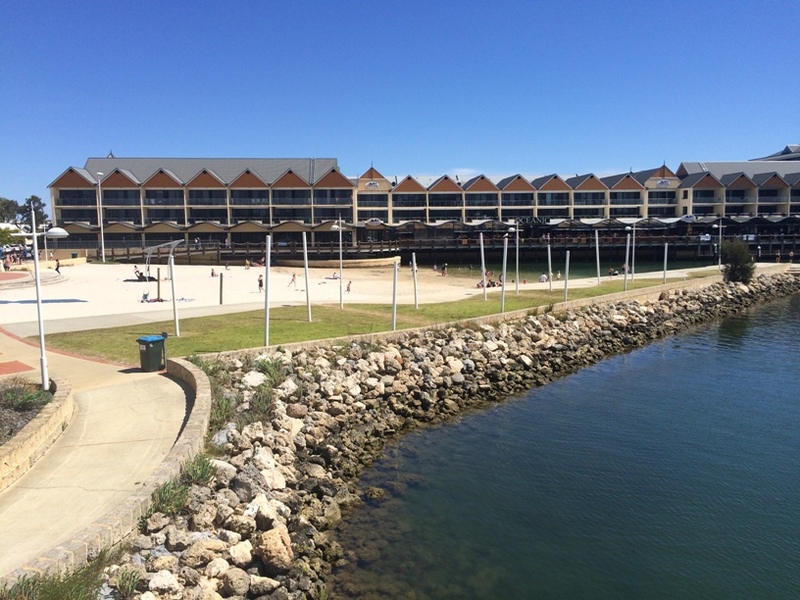 With the protection from the Mandurah Marina the water at Keith Holmes Reserve is always flat and calm making this the perfect place for young children to enjoy a swim. For the bigger kids they can now swim out to the pontoon and enjoy a slide back into the water. The big wooden boat on the foreshore is a hit with the little ones. It has a big steering wheel and there is a little telescope so they can spot for pirates approaching Dolphin Quay. 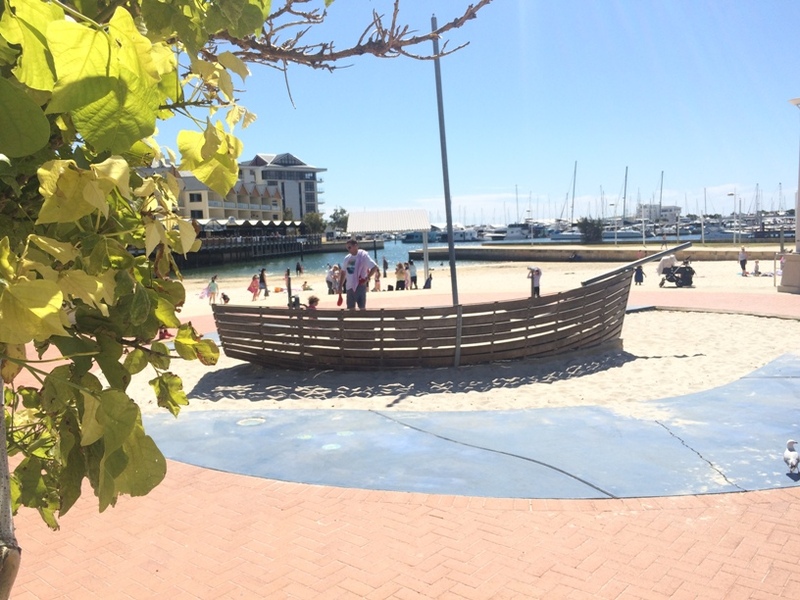 On the foreshore is a great little playground with two play areas, one more suited to toddlers. Shade sails are usually in place over summer. BBQs and picnic shelters are available near the playground and toilets and showers are also located nearby. 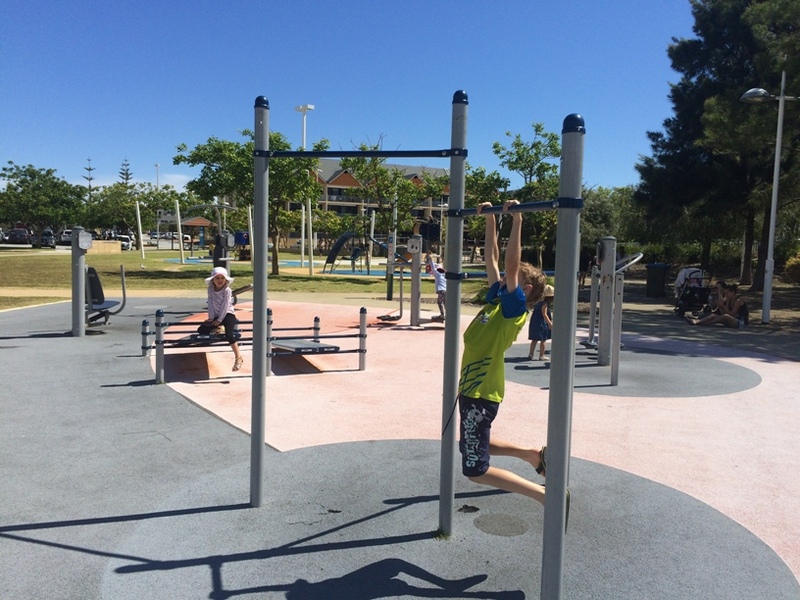 Exercise stations are located near the playground and overlooking the marina if you feel like getting in a bit of activity and knocking out a few pull ups or sit ups while you are there. 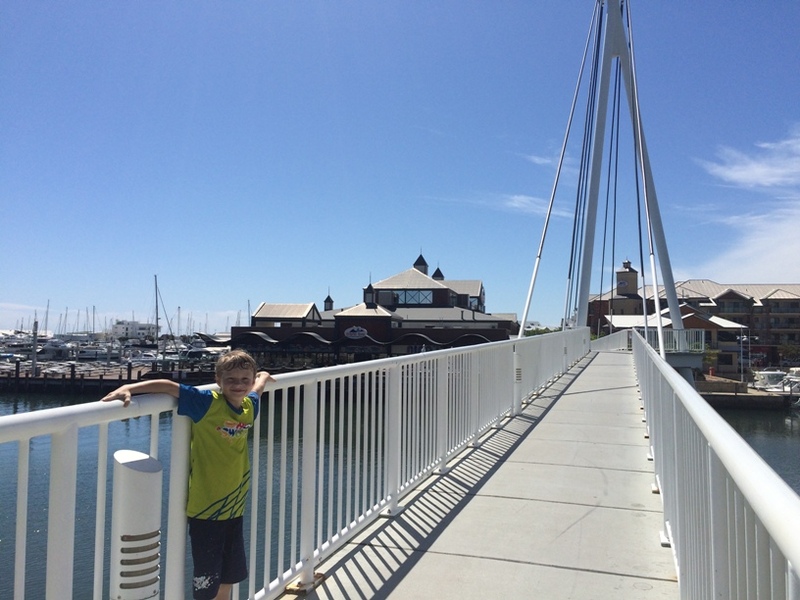 Head over the footbridge for a nice view of the Mandurah Marina and Dolphin Quay and to access a big variety of cafes, restaurants and shops. 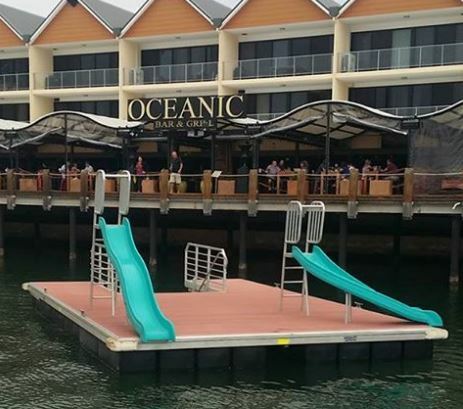 Oceanic Bar & Grill is also located near Keith Holmes Reserve and overlooks Dolphin Quay and the Keith Holmes Beach. 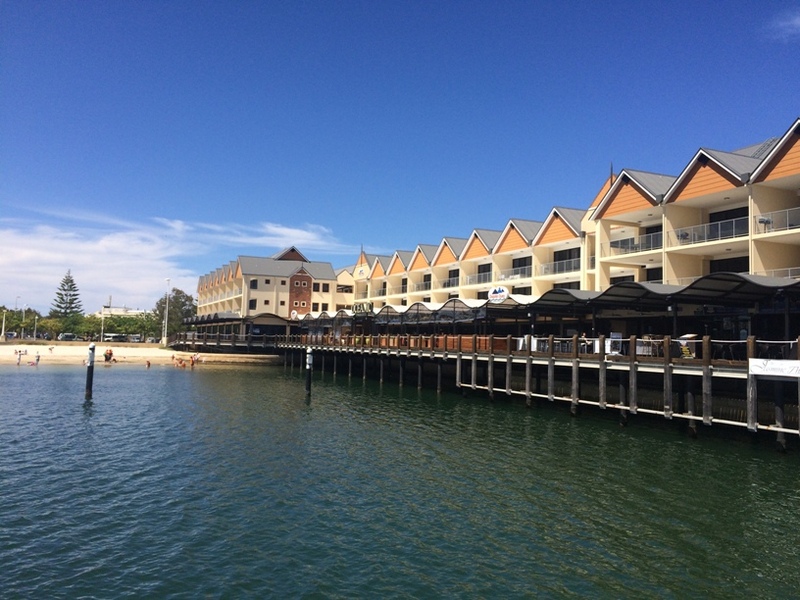 If you want to explore Dolphin Quay from the water and see dolphins in the Mandurah Canals head over to the Mandurah Foreshore you can join in a cruise with Mandurah Cruises. If you are looking for somewhere to enjoy a swim and a play while you are in Mandurah, Keith Holmes Reserve is the perfect place to play and swim the day away. 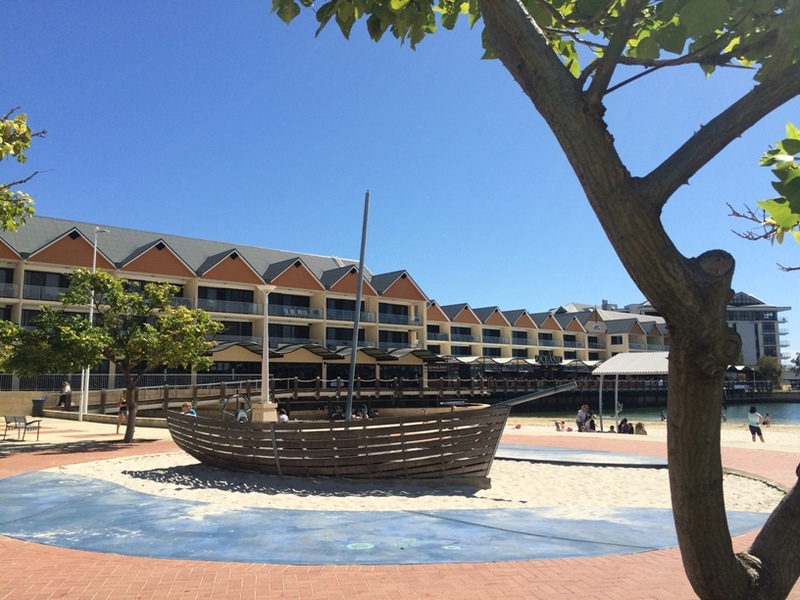 Designated parking is located close to the beach and there are lots of cafes, restaurants, shops and attractions located within the Mandurah Marina and just a short walk way on the Mandurah Foreshore.